I park in front of her house, grab the salad and wine from the passenger’s seat and whack my head on a low-hanging limb. Dana answers the doorbell and after a hug, we head into the kitchen. “With a day’s notice,” she chimes in, “or an hour. Yep, this is what we do. Welcome to the club, sister,” she says, smiling, and opens the chilled Classico Superior. Women taking care of one another, creating community, sharing food—this is, after all, what women do, what we’ve been doing for eons only I’ve been doing it for a family, like my mother before me and a whole lot of Lake Wobegon women before her. But the kids are raised and living in apartments. My husband moved out in July. Our dog died last May. It’s me and two goldfish who are wintering in a rudimentary aquarium in the laundry room, counting the days until they’re back in the enormous clay pot under the weeping cedar in the garden they share with the Buddha. More than you want to know? Let’s move on. For a good ten years before I met Tony, before my friend Phoebe left Denver, she and I were one another’s Friday night date. When her Himalaya-guiding boyfriend was in town, we were a trio. In the summer we’d sit on Phoebe’s front porch with a glass of wine—in the winter, on stools in her kitchen—and kick around the evening’s possibilities: Tattered Cover, a movie, Chinese food. Twenty minutes would pass and she’d ask if we were hungry, then magically pull odds and ends of fabulous food from the refrigerator. Three bites into dinner, relaxed, tucked in and happy, we had no reason to leave. 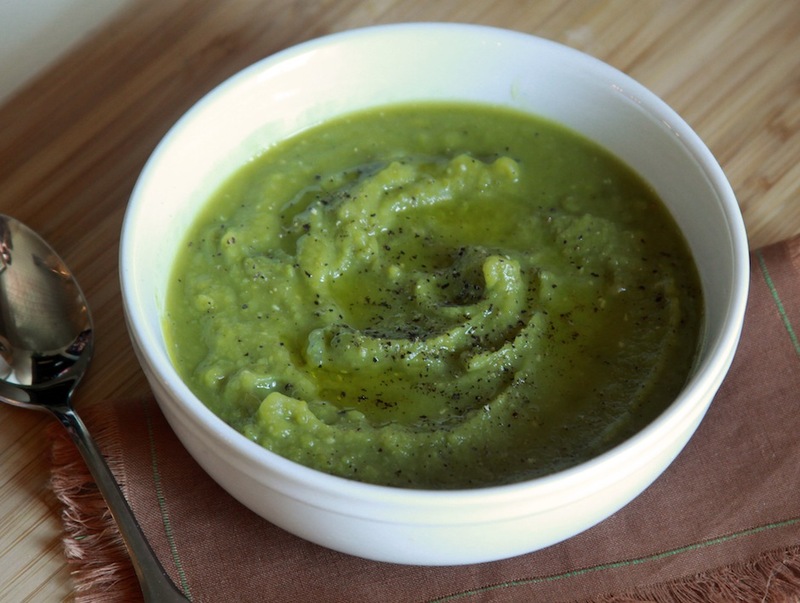 “I hope you like spinach,” Dana says, and ladles the greenest split pea pureed soup imaginable into two white bowls. “There’s a lot of it in here.” We move from the counter in the kitchen to the table in the dining room. Two placemats, two napkins, two spoons, two forks. I pile the salad plates with greens. Small hunks of Humboldt blue nestle among dried cranberries, kalamata olives and Clementine wedges. We top off our glasses. The company of female friends: one talks, the other listens. We volley and change it up. We ask when we don’t understand, high-five when we do. We support, empathize and encourage. We take leaps. We hold up the mirror so the other can see her truth. If we’re afraid, we say so and if we’re lost, we ask for direction. It’s July, early evening on a Sunday. “How do I get back to writing?” I ask my friend, Niela. If I could just write, I had reasoned, maybe I could let go of the anxiety, not feel so abandoned. I had a hunch that if I could put words to the shock, confusion and heartache that had settled in my bones, I wouldn’t feel so afraid. Moments ago the sun had dropped behind the maple tree in Niela’s front yard, leaving us in shade on the back patio. A split of her favorite retsina sits between us. I eat a slice of cheddar and take a bite of cracker, savoring the salt. She segues into her own challenges—those boxes of unsold books in her basement, the audio book that needs more editing, the artifacts yet to be catalogued, and yes, the unpainted walls from the kitchen renovation two years ago. I text Dana about seeing Rosewater on a Sunday afternoon. I pick her up. We swing by Glenna and Michael’s and the four of us drive through snow to the Mayan for Jon Stewart’s first movie. On the ride home, we’re unanimous: the man can do anything. I take my eyes off the road just long enough to catch the smirk. She means it. Okay, I am one of these single women. What would we do without one another? Meals on the spur of the moment, a call to come by even when in sweat pants and hair in a bandana. Thanks for writing this, for all of us…. God, it was good to read your post! I don’t mean the hard parts about Tony and selling your house, which I know can feel pretty awful but you will come through. I mean my being able to enjoy your writing again. Keep at it! Hey you! Thanks for keeping me on your list’. Love your writing as always. I am a single too and this may sound crass but I love it. Wish I had a friend to be casual with. Love my daughter and her family but this little town is so close knit that I will always be a “newcomer”. We never know what’s around the corner do we. You are still young and vibrant and so interesting there is a whole lot out there for you!! Keep on writing!!! Me?? I’m just rocking away! Don’t forget to love yourself.???? Been waitin’ on you to write a piece, girl, and sure glad to read and hear it. A lot said, a lot felt. May the sisterhood continue to nourish your soul and your writing life. next blog and it’s finally here. You ‘re back!! Sisterhood…I would never survive without it. Never stop writing girlfriend… It’s your gift. Ah, there she is….There’s Rebecca…..good to read your words my friend…. Thanks for the reminder, the memories. My sisters are my greatest source of companionship, sustenance and spontaneous joy. Don’t know how you’ve got my back while leading me. But I love it and count on it. You rock Becca!